This jumpsuit is tacky trashy and a million miles away from chic... but I LOVE it! Sometimes a little bit of what we fancy does us the world of good, doesn't it? Do you ever dip your toe into the tacky fashion pond? This outfit simply makes me happy... a classic red dress. Red is my go-to colour when I'm having a "What should I wear?!" wobble. It's a proper vintage 'real size 10' ... so it has a teeny tiny (breath in! I'm tiny!!) waist that made me feel like a curvy goddess. 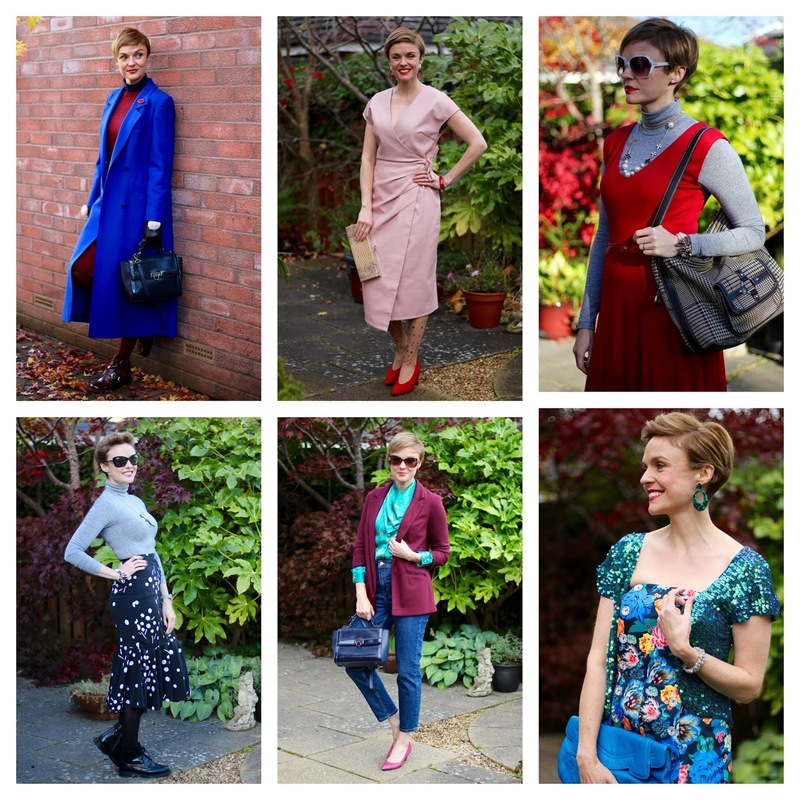 Do you own any vintage pieces that make you feel amazing? 4. A cheat... not really an outfit at all! Okay, you've got me on a technicality.... this isn't really an outfit at all. Although, I did go OUT in it so it must count, right? 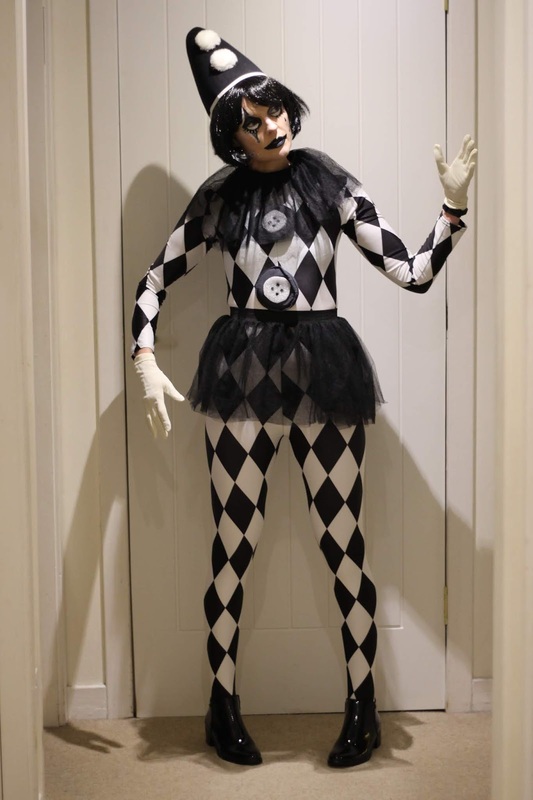 Anyway, rules aside, I had to include this costume because I LOVED wearing it and had a tonne of fun while I did! Do you like to dress up at Halloween, or any other time? 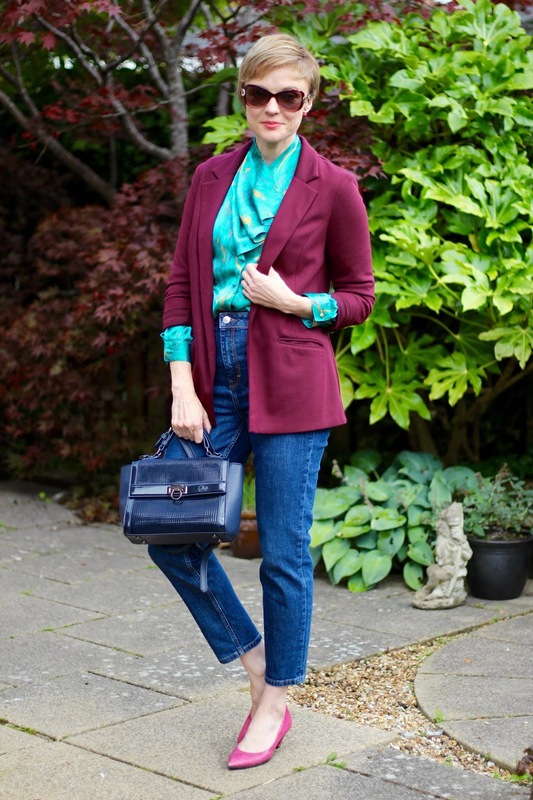 I absolutely love this coat.. and it's part of my favourite autumn look! Cobalt blue always works, always makes me smile and always brightens up my day. Is there any colour that never fails to make you happy? Red shoes seem like a staple in any woman's wardrobe BUT can be surprisingly hard to style. I'm wearing them with pink in this outfit and I love how they look. How do YOU wear your red shoes? This outfit came a close second for me. 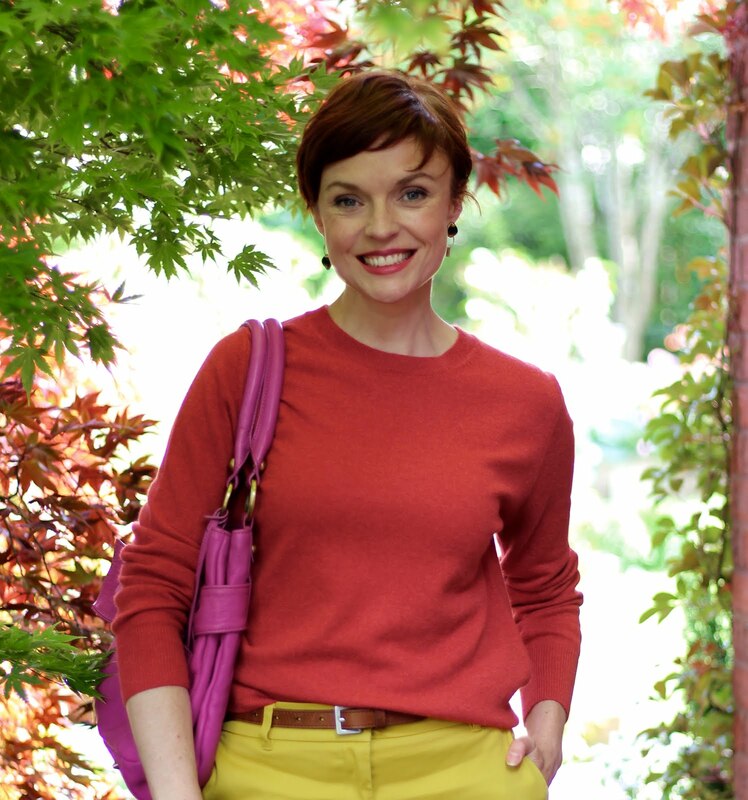 It's not a 'true' autumn outfit (as I wore it at the end of August when the weather felt chilly) but I love the colours. An outfit like this works all year in Scotland... simply add or remove layers as required. Although the thought of bare feet is making me shudder today! What do you think of my Autumn picks? Do you agree with my favourite choice (no. 5)? lovely outfits (as usual!) and lots of inspiration too!. 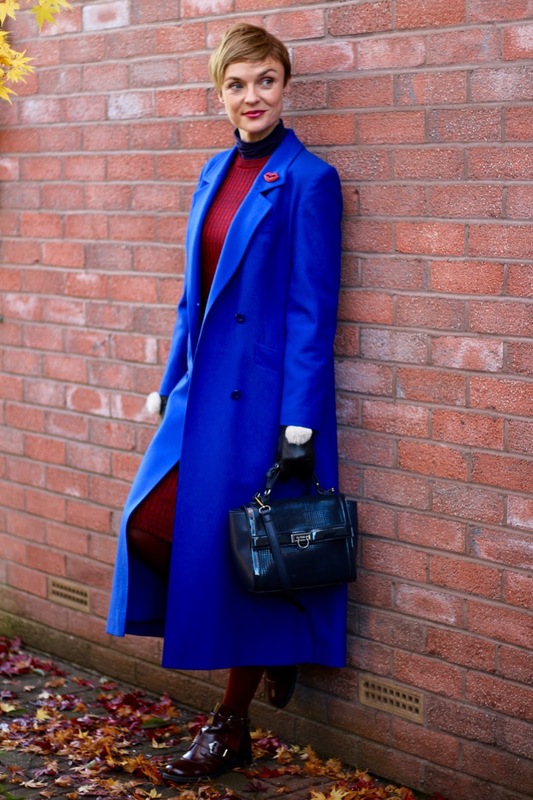 I do love your cobalt coat and totally agree on red dresses being the answer! yes! and red shoes are fabulous and look even better with your pink dress! Yikes! I feel like I may have missed a couple of these! Thanks for the recap Sam. 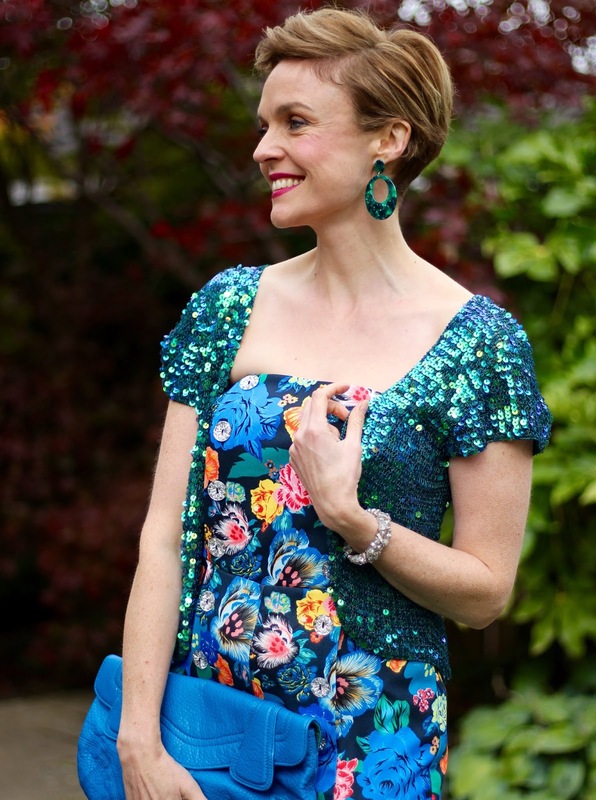 That last look with the gorgeous turquoise, floral, blouse is my favorite. Vintage spotty skirt: a real winner.